Can you make the save? Remember those thrilling days of yesteryear, when D&D came in a single box? When rules were there to be guided by the Dungeon master, not in control of him? Where extrapolation was king and fun was the major goal of any adventure? Those days have returned! 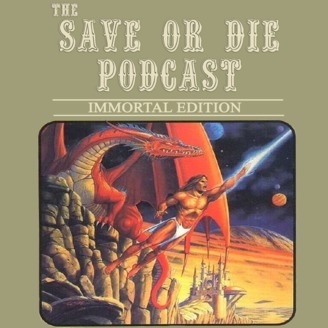 As with the very title of the podcast, one can imagine dangerous dungeons, Wiley Non-Player Characters, and monsters that might just be able to kill your character regardless of your level? 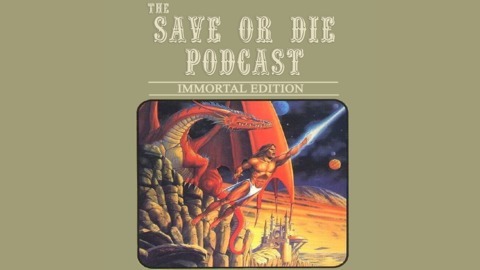 Save or Die podcast intends to cover them all, from the first box set of 1974 to the last of the 1990s box sets. If its Dungeons & Dragons and came in a box, we’ll talk about it. Our fearless Dungeon Masters Vince, Mike and Elizabeth will regale listeners with tales of past events and future possibilities. Magic, Monsters, and Mayhems will abound as we delve into the ideas of light rules and heavy role-playing.